“I spent $100s on film festival fees and all i got were a bunch of rejection letters." 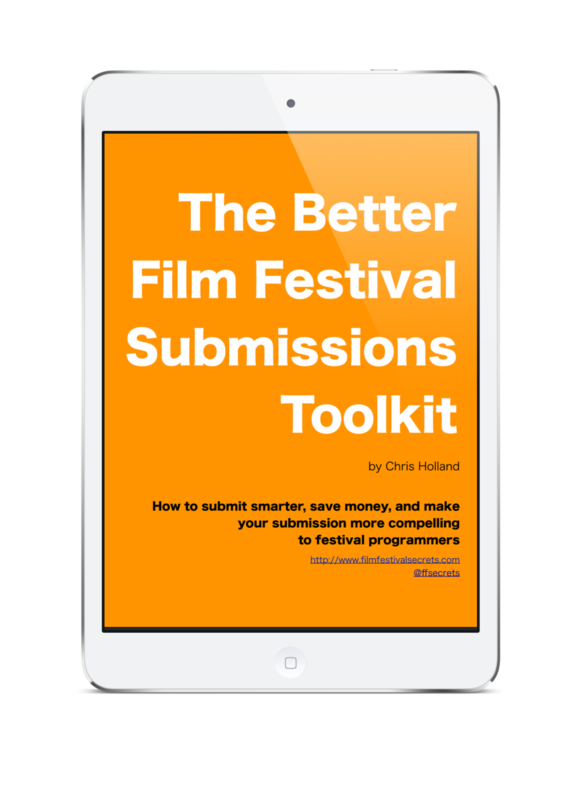 Take control of your film’s festival run. Play more festivals. Be an indie film badass. Remember when you finished your film? Months – maybe years – of work, finally ready to show the world. You probably thought to yourself, "the hard part’s over – time for the reward!" How do you narrow down the thousands of festivals out there to the ones that are right for your film? How do you decide which festivals are worth the submissions fees they charge? How much should you budget for those fees, anyway? Your movie didn’t have a big budget or any recognizable actors – does a film like yours even make sense for film festivals? What if you don’t know anyone in the industry? Are you just out of luck? Why on Earth won’t someone tell you why your film wasn’t accepted? At some point you looked up and decided there had to be a better way than making best guesses and deadlines. That’s when you ended up here at the Film Festival Secrets Vault. The Film Festival Secrets Vault is your festival advisor, knowledge library, & support group all in one place – for $6 a month. The Film Festival Secrets Vault collects 12+ years of film festival expertise in one place and provides an instant community of peers and mentors with whom to explore it. Any question you’ve ever had about film festivals is probably answered in the Vault’s library. If your question isn’t there, you can get an answer from me or from the filmmakers and festival staffers in the private Facebook group. Feel like you’re the only one flailing through the festival process? Get support (informational and emotional) from your fellow festival travelers in the Facebook group. The Vault is regularly updated with new publications and videos so you’ll stay on top of the latest festival trends & strategies. You’ll get invitations to members-only seminars and online Q&A sessions held throughout the year. The Film Festival Secrets Vault is a community of filmmakers and film festival professionals coupled with the best collection of film festival advice ever compiled. In the Vault you’ll find a vast array of ebooks (including my flagship book, Film Festival Secrets), tip sheets, audio lessons, online courses, and interviews with festival programmers about what happens during the film selection process. If you’re ready to take your festival submissions to the next level, this is the motherlode of insider info that will get you there. 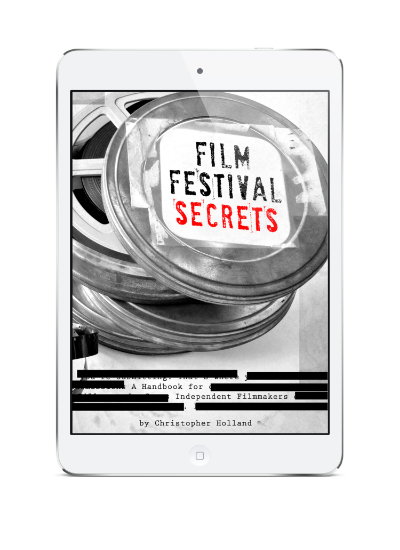 More than a dozen ebook files, including Film Festival Secrets: A Handbook for Independent Filmmakers, The Film Festival Starter Kit, and the Better Film Festival Submissions Toolkit. Read them on any device that can open a PDF (including phones and tablets). 5 hours of audio and video, including interviews from programmers at SXSW and Sundance, a master class seminar on crowdfunding, and quick-hit audio lessons that will expand your festival knowledge in a hurry. 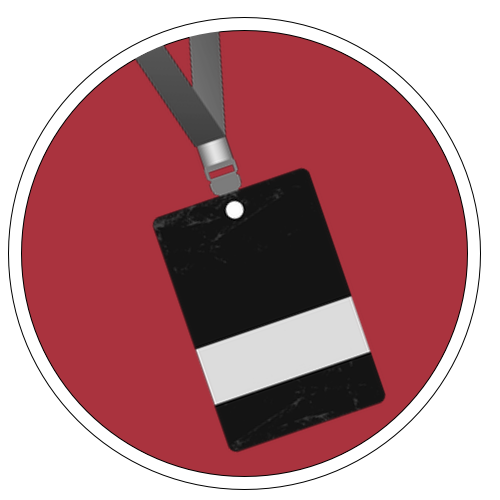 Membership in the private Film Festival Secrets 2.0 Facebook group, where you can ask festival- and filmmaking-related questions to be answered by me and your fellow filmmakers on the festival circuit. Invitations to live training webinars, podcast conversations, and open Q&A sessions held online. During these you’ll be able to ask questions of me and the guests. Once you join you’ll have instant access to all the materials, including downloads of the ebooks. You sign up for just one month or continue your membership for ongoing access to the videos, Facebook group, updates to the existing materials, and access to new content added monthly. Ready to get started? Open the Film Festival Secrets Vault. Bonus for members who pay annually! 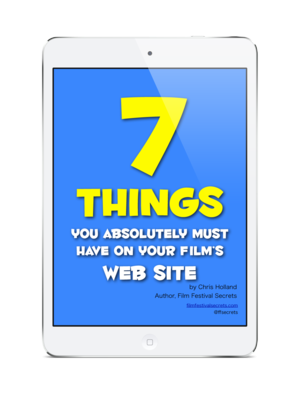 The complete online course 7 Days to a Film Festival Strategy, normally $49. Who created the Film Festival Secrets Vault? I’m your instructor Chris Holland, and I’ve been in the film industry for 20+ years. I’ve been on staff at 4 film festivals and I’ve helped hundreds of filmmakers like you make the most of the festival circuit. The Vault is the result of all of my experience during that time, and I designed this membership program to be the best money you’ll ever spend on your festival journey. Subscriptions are paid in advance for the term you choose, and automatically renew when that term is over. If you want to cancel your subscription, just visit your Gumroad library and cancel before your current term ends. Isn’t some of the stuff in the Vault available for free on your site? Yes. All of my free resources as well as some of the books and courses I charge for are included in the Vault. The advantage of this is that you don’t have to hunt for them on the site, and I’ll post updates to those free resources in the Vault first. You’ll get email when each resource receives an update so you’ll never miss something new. Why wouldn’t I just pay for one month of the Vault, download everything, and then cancel? You can do that if you like. In order to get new downloadable resources and have ongoing access to videos and the Facebook group, however, you’ll need to remain a member. Do you offer individual coaching as a part of membership? If you post a question in the Facebook group, I’ll do my best to answer it thoroughly or to point you to one of my resources that has the answer. If you require more "hands-on" individual coaching to create a festival strategy, please see my Coaching page. What if I’m not happy with my Vault membership? Contact me here and let me know. I’ll make it right.